During World War II, black Americans were fighting for their country and for freedom in Europe, yet they had to endure a totally segregated military in the United States, where they weren't considered smart enough to become military pilots. After acquiring government funding for aviation training, civil rights activists were able to kickstart the first African American military flight program in the US at Tuskegee University in Alabama. 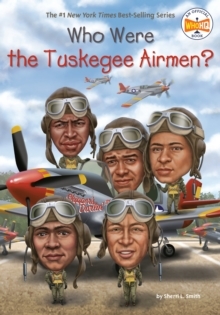 While this book details thrilling flight missions and the grueling training sessions the Tuskegee Airmen underwent, it also shines a light on the lives of these brave men who helped pave the way for the integration of the US armed forces.